The Rev. 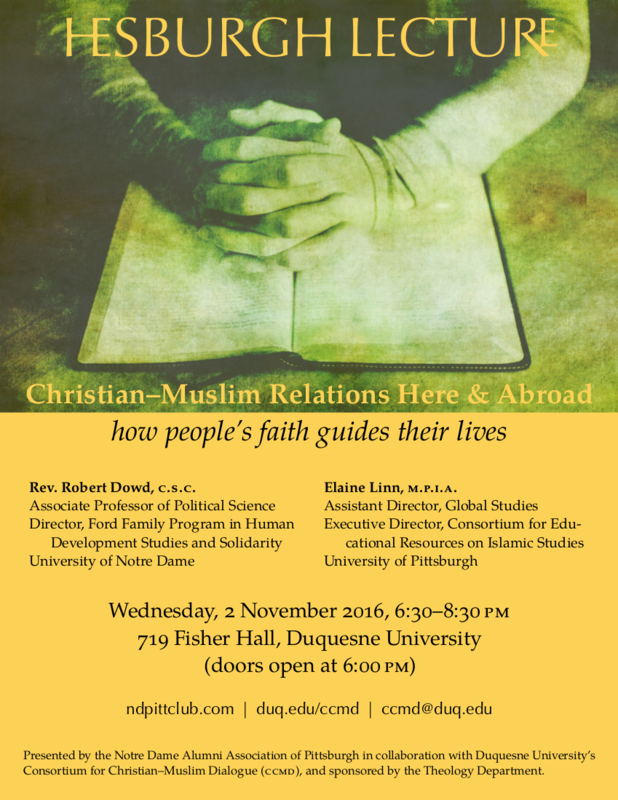 Robert Dowd (Notre Dame) and Elaine Linn (Pitt) will discuss Christian–Muslim Relations Here and Abroad: How People’s Faith Guides Their Lives, in 719 Fisher Hall on the campus of Duquesne University. Organized by the Notre Dame Alumni Association of Pittsburgh in collaboration with the Consortium for Christian–Muslim Dialogue, and hosted by Duquesne’s Theology Department.